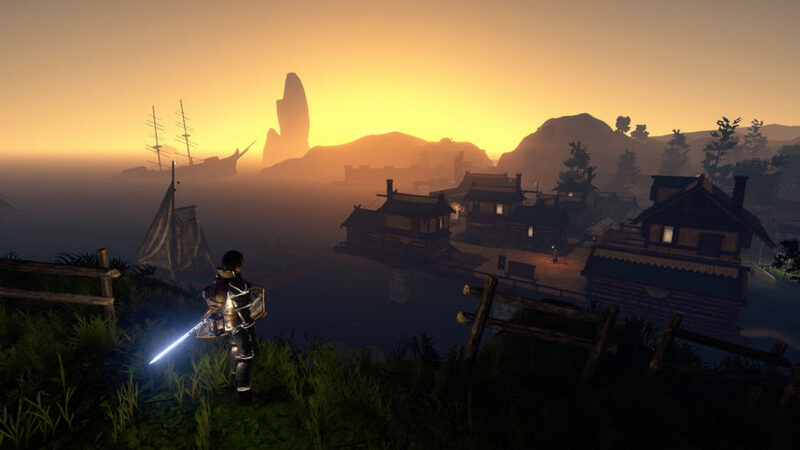 Outward is the latest open-world RPG title to make its way to consoles and PC. Coming from the talented team at Nine Dots Studio, players will explore the world of Aurai as they take on dangerous creatures and survive the harsh conditions of its terrain. You don’t have to go alone, though, with splitscreen co-op multiplayer an option from the start, so let’s talk you through how to do exactly that in Outward. First things first, if you’ve already started a game in Outward, you do not want to press ‘Continue’ from the main menu. Instead, choose the ‘Select Character’ option. This will then bring up a window to ‘Start New Game’ with options for 1 and 2 players respectively. Of course, for splitscreen co-op multiplayer, you want to select the ‘2 Players’ option here. Don’t worry, by the way, you don’t have to start a new game every time you want to play co-op. Just select this option and then the screen will split, all player 2 then needs to do is press X/ A/ or whatever button prompt appears on the screen and Outward will begin loading. You’ll then be brought to a screen with any characters you’ve created on the profiles that each of you have signed into. Simply select the character loadouts (if you already have saves; if not, select an empty slot), you want to use and then the game will begin loading again. Outside of that, there’s honestly not a whole lot else you need to know to get playing Outward in splitscreen co-op multiplayer. The game will load up and you’ll both be in control of your characters. However, some players have noted that there are a few weird bugs and glitches, or just irritating problems with co-op that you should be aware of. First and foremost is the fact that ‘player 2’ will likely never spawn back in where they last saved. Outward has a tendency to place ‘Player 2’ back at the entrance to a particular area or section of the map. So, for example, if you’re both out exploring in the wilderness of a field, ‘Player 1’ will spawn back in fine, whereas ‘Player 2’ might spawn back in, say, at the entrance to a nearby village. It’s frustrating, but unfortunately, there doesn’t seem to be a fix for this outside of simply making your way back over to ‘Player 1’ and where you left off. There you have everything you need to know about how to play splitscreen co-op multiplayer in Outward. For more tips, tricks, and guides, be sure to search for Twinfinite. You can also check out some of our other Outward guides down below.